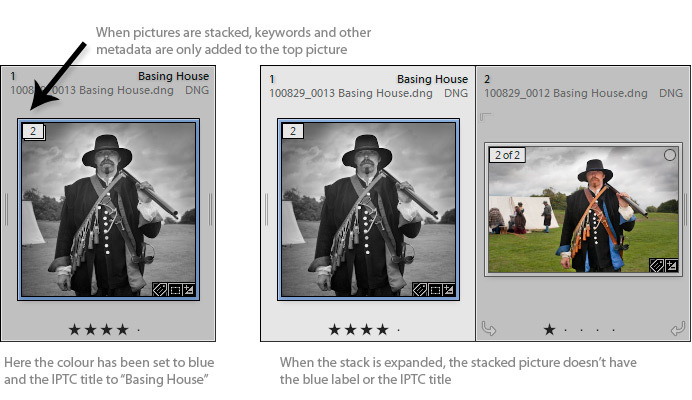 When you add metadata like the title or keywords to a stack, Lightroom only updates the picture on the top of the stack – items lower down the stack are not updated. So if you do want all members of the stack to share similar metadata, you first have to expand the stack and select all the items. Then after adding the metadata, you would collapse the stack again. 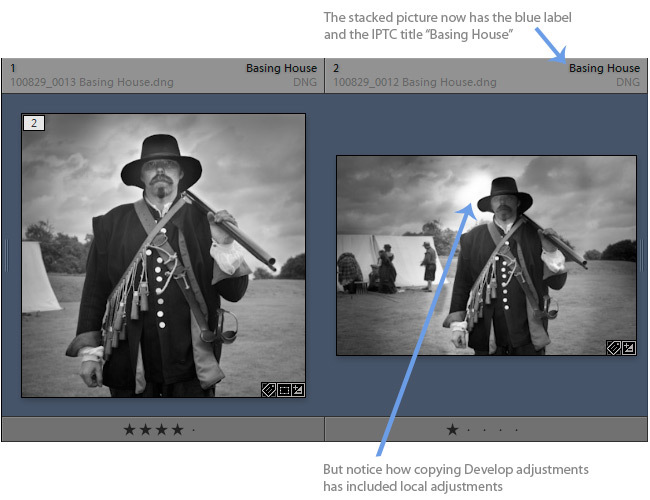 For some users, that is OK because they will only keep the best image and don’t want to annotate the rejects. But for others it’s pretty inefficient, for instance stock photographers or those who use stacks to gather frames intended for panorama stitching. For them the stacks-metadata problem is often a reason for not using the stacking feature. This entry was posted in Syncomatic. Bookmark the permalink.